Mostly our visitors, tourists in Budapest and at the Lake Balaton take part in our private minibus trips. For smaller groups, we offer exclusive minibus trips: Lake Balaton round trip, Visiting Herend Porcelanium, Eger Wine Tour, Hévíz Thermal Lake with Keszhely Castle, Wine tasting in Zamárdi, Siófok sail boat sunset tour and Siófok by night, Budapest sightseeing, Pusztaprogram with horse shows, Danube-bend scenic tour... If needed, we can provide English, German, Russian speaking travel guide. 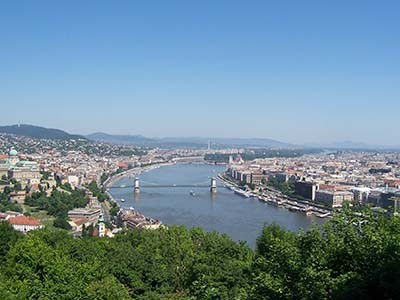 Budapest scenic tour - Setting off: from the desired place and any time, be it Budapest or any other settlement. Sightseeing destinations: Gellért hill, Citadel, Buda Castle District, Mathias Church, Fisherman's base, Chain Bridge, Central Markethall, Synagogue, Budapest Opera-house, Heroe's square, St. István Basilica, Hungarian Parlianment, Vigadó sqare, Váci street, - if desired - lunch or dinner (individual or preorganised). After the day-long trip, in the evening, facultative programs in the heart of the city. You can choose Hungarian, German, English speaking private driver. Pusztaprograms in the Kiskunság National Park with horse show. 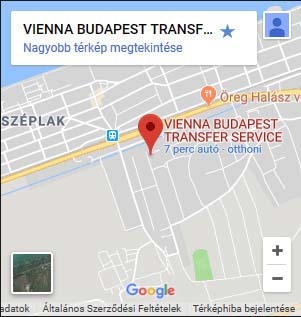 From Budapest or its surroundings, leaving around 9:00 AM is suggested. When arrived to Kunpuszta, in Varga homestead - about at 10:30 - the guests are greeted with homemade scone and pálinka. After this, comes a horse-carriage tour in the puszta and a Homestead Museum. This program last for approximately 1 hour. Then a horse show - unique speciality the great ten-horse riding. As the top of the trip, the next program is a rich lunch in the Homestead with traditional hungarian dishes. You can taste homemade wines as well. And no hungarian lunch can be complete without folk music! The traditional atmosphere is provided by live gypsy musicians. The area of Lake Balaton is rich in sights and programs. One of the most populars are wine, and the folklore. Our offer: Budapest - Balatonfüred - Tihany - Badacsony - Szigliget minibus trip. Setting off from Budapest at 12:00. We travel to Balatonfüred, Tihany peninsula where you have the possibility for a walk to Tihany Abbey and the Doll Museum, even for having a coffee and a piece of cake with the beautiful view to the lake and the hills. Our next destination is is Badacsony, where we visit the famous Badacsony Wine Cellar, and can buy a bottle of the most famous wines in our country. In Szigliget, our next program takes place at 18:30. In Eszterházy Wine Cellar, you can take part in wine tasting, visit the Wine Museum - with local tour guide - in the end of the tour, tasting 3-4 types of local wine, then finishing with a great traditional dinner with unlimited consumption of drinks and food. During the dinner, an artisric folklore program is presented to the guests with local folk dance groups and fiery, traditional folk musicians. The tour ends about at 21:00, then heading back to Budapest. Hungarian Danube Bend - A real time-travelling trip, back to the history of Hungary. Destinations: Budapest - Danube-bend - Esztergom - Visegrád - Szentendre. Leaving around 10:00 AM is suggested. Our first destination is the Basilica and treasury in Esztergom, the first capital city of Hungary. After this we are visiting the Visegrad citadel and the Palace Museum, comes a real "Royal Lunch" at the Renaissance Restaurant (medieval atmosphere, traditional dishes of the kings and music). In Szentendre, there is time for 1 hour of walk, which promises many interesting sights. A city, with real mediterranean atmosphere, with narrow streets, galleries, museums and churches. At the end of the tour, we are leaving at 16:30 back to Budapest. Wine tasting and dinner in Szent Kristóf Wine Cellar in Zamádi: The wine cellar was built in 2000, on the oldest and most beautiful site of wine hills. Idyllic atmosphere, wine bottling and wine cellar for 120 guests for wine tasting. In the cellar gallery, you can see the handmade artworks of different local artists. The wine-arbour in fron ot the cellar has place for 120 persons as well, and makes the feeling of the trip quite romantic. You can enjoy a bottle of good-quality homemade Balaton wine while watching the sunset, in the peaceful rural area, between the hills. 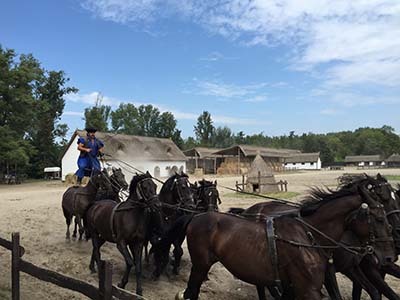 Facultative programs are available too: horse-carriage trip to Zamárdi viewpoint, archery. - Budapest Scenic Tour with English speaking private driver - one of the most popular day-long trip among the foreign tourists. For offers and detailed prices please contact us in e-mail or phone. 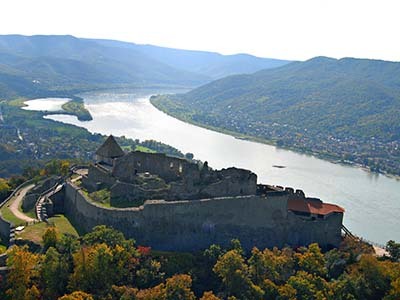 Excursion to the Hungarian Danube Bend - A real time-travelling trip, back to the history of Hungary. The Danube-bend fascinates everyone. An intense day-long trip with a wide range of programs. Route in order: Budapest - Szentendre - Visegrád - Esztergom - Budapest. Pusztaprograms in the Kiskunság National Park with horse show. Experience the unique and romantic atmosphere of the puszta! Horse shows, horse-carriage trips, traditional hungarian hospitality and live folk musicians. The real essence of the country!